Investing in a quality hair dryer is a whole lot more than paying for a hairstyling tool. The kind of dryer you get determines whether the upkeep of your hair results in healthy, great-looking locks or in a lifetime of tresses that look frequently dull and is chronically brittle, frayed at the edges, and with split ends. There is a plethora of available hair dryers on the market today, each one with a different set of features. Whether it’s a professional hair dryer designed for use by hairstylists and salons or one without the bells and whistles yet perform just as effectively, knowing how to choose which one is right for you is essential. 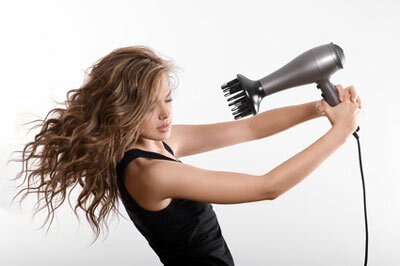 Hair dryers made of plastic or metallic heating parts are likely to burn when exposed to extremely high temperatures. They also distribute heat unevenly and create “hot spots” which make for mixed results: dry in some areas and over-dried in others. Ceramic has unique properties for heat conduction which can channel heat evenly across your hair regardless of its location on your head. An ionic hair dryer has the capacity to diffuse negative ions that can cause your hair’s cuticles to eliminate frizz by locking in natural moisture. Inferior quality hair dryers, especially those made of plastic or metal, diffuse positive ions that cause your hair’s cuticles to become dull and develop frizz. Additionally, ionic hair dryers eliminate and prevent static electricity to develop in the hair. Not all “tourmaline” dryers are created equal. Some of them are only coated with tourmaline. Choose one that is infused with tourmaline, meaning the gemstone is added to the overall construction of the dryer, not just as a coating. Tourmaline generates negative ions to yield around 70% faster drying results. In combination with ceramic, tourmaline provides gentler heat that is spaced evenly. 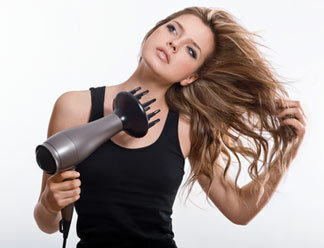 A powerful dryer would typically have high wattage so it can dry hair in the quickest possible time. 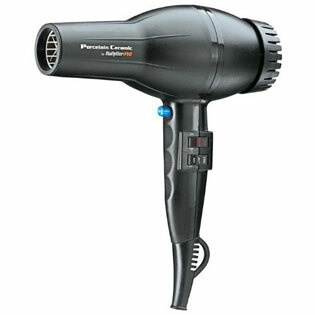 As a benchmark, the best professional hair dryer usually has wattage of 1,300 or even higher. If, however, the time spent in drying your hair is of no issue to you, your better option would be a dryer with wattage lower than that mentioned. Different settings on a hair dryer are an important feature but entirely dependent on when you use them. Damp hair, for instance, you would need a lower setting of temperature, but rested for time after taking a bath or shower, you would need a high heat setting. If you like to change hairstyles often, different settings are a must-have on your chosen hair dryer. Professional grade dryers are naturally light weight, with some weighing less just under a pound or sometimes even less. Lightweight hair dryers are often designed for use by professional hairstylists who hold them nearly the whole day. Lightweight dryers are more convenient to use because holding them will strain neither your wrist nor hand. Ceramic Gives hair shine, protects it from excessive heat and eliminates frizz. Ionic Technology Generates negative ions that smooth hair lock in hair’s natural moisture while reducing drying time. Tourmaline Provides additional potency for ions to make hair more shiny and manageable as well as speed up drying time. Cool Shot Switch or Button Sets hair to hold and last longer, adds shine, and gives hair a “rest” from hot air. High Air Flow Most beneficial for thick, coarse or unruly hair to dry it more quickly in a shorter period of time. Multiple Temperature Settings More options to choose from and use for different hair conditions such as powerful drying, straightening or curling, and styling. Blow Dryer With Diffuser Capable of creating cherub curls, beach waves, bouncy curls, loose waves, corkscrew curls, ringlets, tousled waves, Botticelli curls, and finger waves. Multiple Speed Settings Lowest setting is the most suitable for thin, fine or limp hair. Combined Multiple Speed and Heat Settings Best combinations include turning off the ion generator for low speed/low heat for fine, thin or limp hair and turning the ion generation on for high speed/high heat for coarse, thick or unruly hair. A blow dryer with comb attachment will be most suitable for women who have long straight hair to smoothly straighten, lift, and, quite often, detangle it. Comb attachments to blow dryers make styling easier and faster. Celebrities who could, and probably do, use this type of hair dryer include Mila Kunis, Katy Perry, Catherine Zeta-Jones, and Cher. Women with 4A and 4B hair types will benefit from a hair dryer with brush features. With stronger attachment to the dryer, a brush can easily detangle hair strands of both hair types while drying or styling them. 4A hair type, incidentally, has the fewest number of cuticle layers among hair types so brushing hair out while drying it must be done carefully to avoid damage to the cuticles. Reduces frizz in hair by 79%. Adds volume and fullness to the hair by as much as 93%. Increases hair’s adaptability for combing by 36%. Holds and retain hairstyles by 52%. Improves hair shine capacity by up to 21%. The Featherweight Lux 2i’s advanced SoftAire patented technology is able to generate a large volume of airflow, weaving it through the unit at high speed. This air is enriched with ions which are released by the hair dryer through a wide, cone-shaped nozzle to dry large hair sections faster in a shorter period of time. This dryer has the so-called “electric stone,” otherwise known as the gemstone tourmaline which is capable of emitting not only powerful far-infrared heat but healthy ions that help speed up the hair drying process. By breaking down water into smaller molecules, it is better absorbed by the hair’s cuticles. Upon absorption, this water is retained in the cuticles as moisture to keep the hair’s roots and strands hydrated and moisturized. Additionally, tourmaline technology helps seal the cuticles to reduce hair static and frizz while enhancing hair shine at the same time. Unlike other hair dryers, the Featherweight Lux 2i’s tourmaline is not only applied as a coating but is infused as finely-crushed powder in the product’s internal components. This means the tourmaline will not wear off as easily as it would if it is applied only as a coating. To complete its visual appeal, the Featherweight Luxe 2i has a tilted, ergonomically-designed handle for balancing both shape and weight. Additionally, the Featherweight Luxe 2i is also a quiet hair dryer and one of the few that is aesthetically pleasing to look at as it is comfortable to hold. 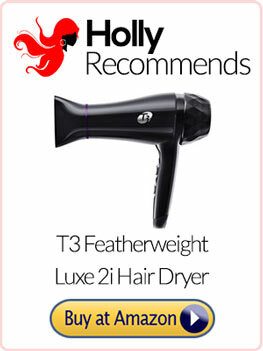 Check Amazon now for the best available price for the T3 Featherweight Luxe 2i Ion Generator Hair Dryer. 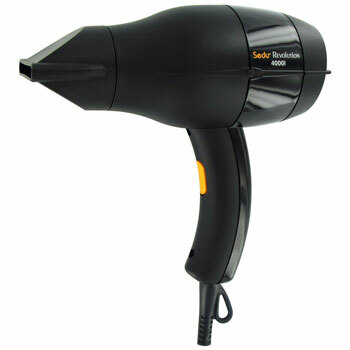 The Sedu Revolution TGR 4000i Hair Dryer holds the distinction of being one of the very first professional dryers in its class to have both lightweight and compact design features; it is also 60% more powerful than conventional hair dryers. Dual function: it has two switches for operation with and without the use of its ionic generator. Turn it for quick ion release to straighten and smooth hair and turn it off for hair that is voluminous and full. Seal and lock in: the same ionic generator seals and locks in hair’s natural moisture in the cuticles to give hair unbeatable shine. 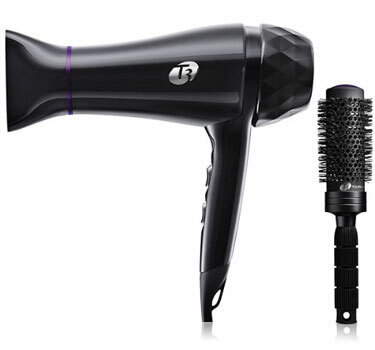 Equipped with a cool shot switch-on button for blasts of cold airflow to set and hold hairstyles in place longer. With six speed and heat settings for more preferred combinations such as low heat/low speed, high heat/high speed. Less 30% in weight than other conventional hair dryers, the Sedu 4000i, albeit not a cordless hair dryer, readily makes for an ideal travel companion. With an 80 MPH record for airflow speed. Equipped with 1,875 watts for unsurpassed power in air speed production. More compact in size by 40% than conventional hair dryers. Comes with two concentrator nozzles for pinpoint and precision hair styling. The Sedu 4000i is perfect for coarse, unruly thick or unmanageable hair which could take forever to dry even with the use of powerful hair dryers. With an 86m3/h capacity for unparalleled airflow. Comes with a two year warranty. Origin of manufacture is France. You can find out everything you need to know about the Sedu Revolution TGR 4000i in our our in-depth review. Designed for exclusive use by professional hair stylists, the BaByliss Pro 2800 Porcelain Ceramic Dryer has the combined technologies of porcelain ceramic and ion to dry hair as quickly as possible with evenly distributed heat. TheBaByliss Pro 2800 reduces frizz and static in hair to significantly reduce hair drying time yet produce noticeably shinier and healthy-looking hair. Versatility is the BaByliss Pro 2800’s middle name with six heat setting and six fan speeds for straight blowouts or styling. For the former, just apply some straightening balm or serum on each hair section and blow dry with either hot or warm air until all sections are dry. Finish off with a cool air blast from the BaByliss’s cool shot switch button to hold the style in place and bring out the hair’s shine. Extended life Alternating Current (AC) motor. Narrow concentrator nozzle for styling. Grill made of high quality porcelain ceramic. The BaByliss Po 2800 Procelain Ceramic Dryer is one dryer that you should seriously consider if you want professional quality hair styling every time and it’s available at a great price on Amazon now. The high pressure airflow of the Elchim Professional 2001 2000 Watt Classic Hair Dryer is produced by its top-rated components including its wired heating element made of durable Swedish Kanthal. Its double balanced, long life AC motor ensures that the powerful heat is released at a constant and consistent temperature to avoid any possible damage to hair. The durable housing of the Elchim Professional 2001 2000 Watt Classic Hair Dryer is flame and shock resistant plycarbonate carbon plastic that is not only durable but non-aging as well. Powerful and practical, this Elchim hair dryer is the preferred choice of most professional hairstylists for its excellent balance of performance, working time, power, and comfort. With seven speed and temperature settings, the Elchim Professional 2001 is powered by 2000 powerful watts to provide you with more than 2,000 hours of drying use. The Elchim Professional 2001’s maximum airflow is pegged at 40 feet per second. And if you are worried about lint, it can be easily cleaned off its removable filter. Suitable for all hair types, this dryer from Italy has a professionally-designed nine feet power cord, and comes with a one year warranty. Based on verified customer reviews, this Elchim blow dryer is capable of drying 98% of even the thickest, coarsest, and unruliest of hair in just 15 minutes. It comes in four classic colors: a combination of black and red, black, red, white. Although the Elchim 2001 has no cool shot switch button feature, it has a cool setting that can similarly hold and lock in any desired hairstyle for the same amount of time that a cool shot does. Additionally, this particular Elchim model has the narrowest of front nozzles for increased airflow pressure to dry hair really fast. 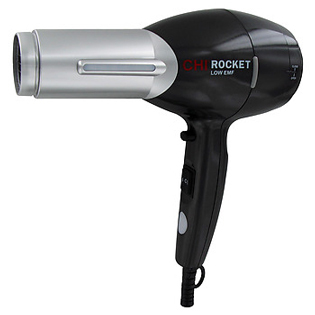 Lightweight and quiet, the Farouk CHI 2100 Professional Rocket Hair Dryer has been designed with the combined technologies of ceramic and ion for professional quality hair drying and styling. While there are dryers that make many claims when it comes to performance, the Farouk CHI 2100 stands out as one of the very few that has made numerous innovative advances. 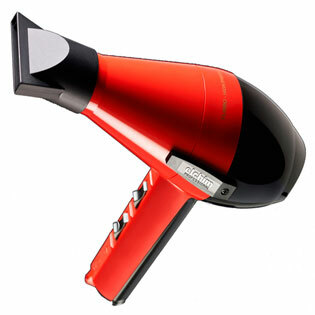 The Farouk CHI 2100 weighs in at only 1.1 pounds – making it an excellent hair dryer both for home use and travel – but never underestimate its features, including its silent motor, its electro-magnetic frequency (EMF) output which is the lowest in its class, and its light indicator – located on its side – that lets you know if the unit is producing ionic and far-infrared heat. This hair dryer is suitable for use on any hair type, whether it’s long, curly, straight, fine, thick, short, wavy or thin. Its ceramic technology is capable of drying hair 40% faster than conventional hair dryers in its class. Its ion technology, meanwhile, emits negative ions that reduces the frizz in your hair and give it unmatched shine and smoothness. Measuring 9 inches by 3.5 inches by 8.5 inches, the Farouk CHI 2100 is a great choice for those who want professional salon quality hair drying as well as professional hair styling. With its comb attachment inclusion, the Farouk CHI 2100 is a versatile tool to have if you are inclined to experiment and try on different hairstyles. At the end of the day, the best hair dryer would be one that not only performs excellently but is reasonably priced and affordable. Yes, that is the Farouk CHI 2001. With the Farouk CHI 2100, you get a sleek-looking, highly functional, top-rate performing, professional salon-quality product with a reasonable price.